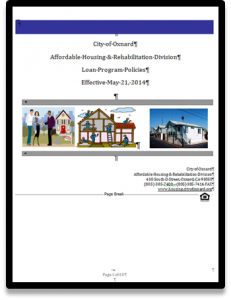 The Affordable Housing & Rehabilitation Division receives HOME, CDBG, and CalHome funds for the Homebuyer and Home Rehabilitation Programs. The following are links to the policies for these different funding sources. These policies were designed in accordance with state and federal regulations.